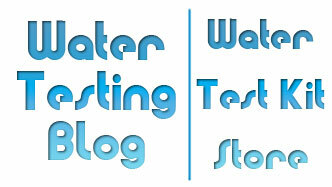 Once again the Minnesota Department of Agriculture gets a round of applause from Water Testing Blog for its commitment to helping residents in the State of Minnesota keep an eye on the quality of the water coming out of their private wells. ST. PAUL – The Minnesota Department of Agriculture (MDA) and Washington County Department of Public Health and Environment will offer a free nitrate water-testing clinic from 4 to 7 p.m. June 5 at the Scandia Town Hall. Samples will be analyzed on the spot since the process usually takes less than five minutes. Results will be given directly to the homeowner. 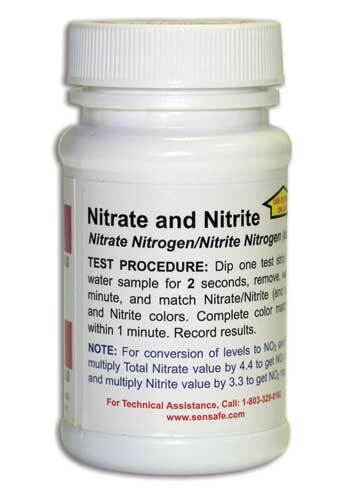 If the nitrate level in a sample is elevated, clinic staff can refer the homeowner to certified labs that will retest the water. Owners of private wells need to stay vigilant when it comes to monitoring nitrate levels in their well water — especially if the wells service homes containing small children and/or pregnant women. Scientists have positively linked elevated nitrate levels in drinking water to incidents of methemoglobinemia, or blue baby syndrome. In cases of blue baby syndrome, the nitrates get absorbed into the blood by hemoglobin (the oxygen-carrying component of blood) which gets converted to methemoglobin… and methemoglobin does not carry oxygen nearly as efficiently as hemoglobin. This, in turn, results in lowered oxygen levels in the bloodstream and organs such as the brain then receive lower than needed amounts of oxygen. Prolonged deprivation of oxygen flowing to the brain becomes particularly problematic for infants and young children since their blood cannot convert the methemoglobin back to hemoglobin and the brain, in extreme cases, can become damaged. In truly extreme cases of blue baby syndrome the brain, and its owner, can die. A study conducted by the Environmental Protection Agency roughly 20 years ago found that more than 50 percent of the private wells tested had traces of nitrates in their water — and we highly doubt that number has decreased since that time. While the majority of nitrate contamination incidents take place in or around rural areas occupied by agricultural industries and activities, improperly installed or poorly placed wells in non-agricultural areas often get contaminated, as well. When considering the location for a new well make certain the well will not reside within 100 feet of feed areas, regions that will get treated with fertilizers on a regular basis, barns, livestock pens, septic tanks, sewage discharge pipes, or places where chemicals of any kind will get stored. Oh, and PLEASE do not forget to place the well UPHILL from any of the aforementioned potential contamination sources. Got a well on your property that no longer gets used? Did you know that it could easily serve as an entry point for unwanted contamination if not properly sealed or capped? Making sure old and/or abandoned wells have the correct protection over them will help ensure that the aquifer below remains untainted by contaminants on the surface near the well heads. And finally, do not over-fertilize lawns, crops, etc. Nutrients not absorbed by the plants will wind up in runoff that will eventually find its way into the ground water supply. 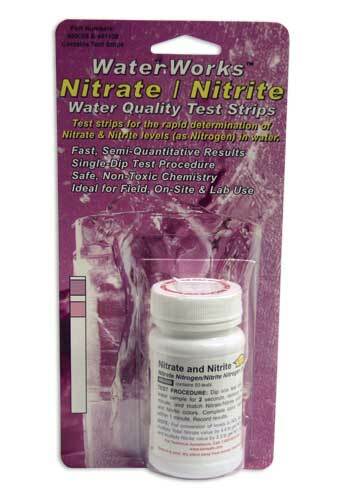 Removing nitrates from drinking water? 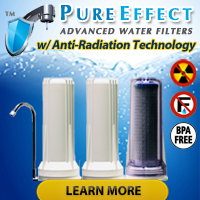 Not all drinking water filters sold will remove nitrates and/or nitrites from ground, well and drinking water. The models below range from a simple disposable counter top model for nitrate removal all the way up to a whole house filter for nitrate removal.